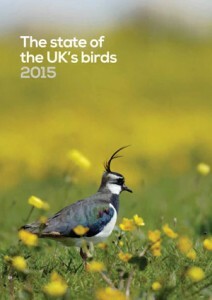 State of the UK’s Birds (SUKB) 2015, released today, highlights examples of innovative and positive projects that involve partnerships between organisations from within and outside the conservation sector, who are working together with the aim of improving the status of birds in the UK. The report also emphasises the huge role volunteers play in delivering such projects. Without their time and dedication much of the evidence needed to direct conservation action would not exist. The Goose & Swan Monitoring Programme (GSMP) is a perfect example of a project that involves a network of both volunteer and professional observers, who, every year, collect data that enables WWT and other conservation organisations to assess the state of the UK’s goose and swan populations. SUKB 2015 highlights some of the results from the GSMP, including the record numbers of Svalbard Barnacle and Pink-footed Geese recorded during these annual counts. Other news featured in the report includes the Single Species Action Plan for Long-tailed Duck. The Action Plan has been prepared in response to the species being up-listed to ‘Vulnerable’ on the IUCN Red List of Threatened Species in 2012 due to numbers of wintering birds in the Baltic Sea, where the majority of the population winter, falling by around two-thirds since the mid-1990s. The Action Plan addresses the issues that may be contributing to the decline and suggests measures that can be implemented to help restore the species to a favourable conservation status. The plan is due to be submitted for approval at the 6th AEWA Meeting of Parties that is taking place in Bonn this week. Further news can be found here.